Ariana Grande is the laughing stock of the Twitterverse after getting a tattoo in Japanese that reads "small charcoal grill" instead of "7 Rings". Well, this is awkward. Ariana Grande took to social media on Wednesday to show off her brand new tattoo in honour of her new single, '7 Rings'. But there was a problem - the Japanese tattoo actually reads "small charcoal grill". It turns out that getting the ink on her palm was too painful and the star decided to leave out a symbol, which ultimately changed the meaning of it altogether. Ariana was quick to delete the image she shared of her new tattoo, but seems unfazed by the mistake. “Indeed, I left out ‘つの指’ which should have gone in between. It hurt like f**k n still looks tight. I wouldn’t have lasted one more symbol lmao. But this spot also peels a ton and won’t last so if I miss it enough I’ll suffer thru the whole thing next time," she tweeted. Social media users are having a field day mocking the spelling error. "Ariana Grande messing up her new tattoo is the funniest s**t ever lmao," one user wrote. Another fan added: "To be clear I’m a fan of Ariana Grande but her accidentally getting a tattoo in Japanese that says “small charcoal grill” instead of “7 rings” is genuinely one of the funniest things I’ve ever heard." 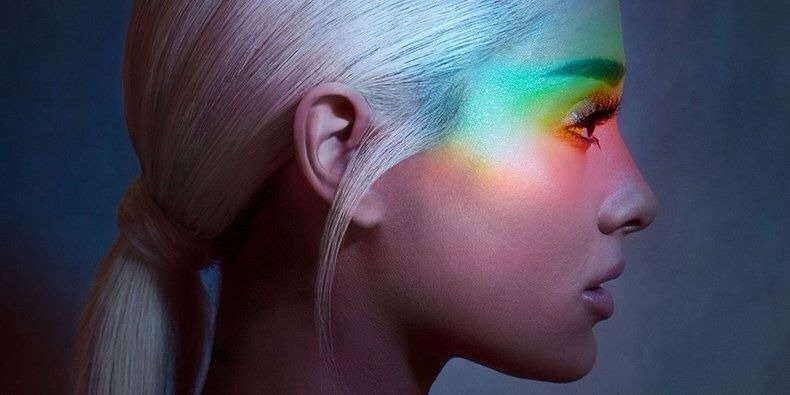 The 'God is a Woman' hitmaker saw the lighter side of the tattoo gaffe, joking she is a fan of small barbeque grills. "Pls leave me and my tambourine grill alone. thank u," she tweeted. Ariana is not the only celebrity whose attempt to get a cool tattoo end badly. Ed Sheeran has a Chinese tattoo that is supposed to read, 'Galway Girl' - the title of his hit single, but instead reads "Galway Grill". Actress Jennifer Lawrence thought it would be cool to get 'H20', the symbol for water, tattoed on her hand..
"It’s just to remind to me to drink more water,” she told host Conan O’Brien. But it also reminds that she got the water symbol wrong, and placed the "2" in the wrong place. "I have ‘I’m stupid’ tattooed on my hand permanently because it’s H-squared! I didn’t go to school. I’m an uneducated idiot," she joked. You said it, girl, not us! ALSO READ: You've been pronouncing Ariana Grande's surname wrong the whole time!